Search and Destroy was part of the attrition warfare and a major tactic used in the Vietnam War. 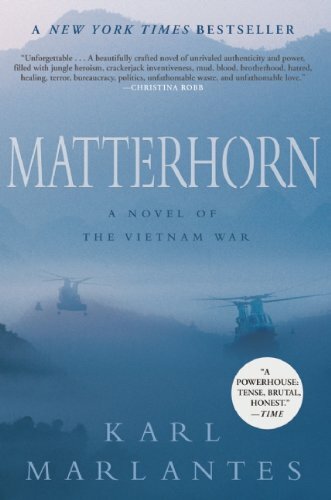 For many people, Gen. Westmoreland, the commander of the Military Assistance Command, Vietnam (MACV), built up this tactic based on a naïve assumption that the war should be won by wearing down the communist’s personnel and materiel until they could not sustain. When their loss came to a cross-over point Hanoi would seek for peace. The concept of the tactic was as simple as its name. Unlike the traditional “taking ground” methods, Search and Destroy tactic focused on eliminating enemy as many as possible by searching, then destroying the enemy, and finally using “body count” to measure the success. Since its first operation began in 1965, Search and Destroy was considered as a dominant approach of US forces during 1965 and 19681. However, as the war was seen as a failure after the Tet Offensive, Search and Destroy was to blame. To explain the failure, many historians and military analysts, such as Geunther Lewy, Lewis Sorley and Andrew Krepinevich criticized the US Army for focusing on Search and Destroy operations but ignoring pacification and the political aspects of the conflict. They argued that the problems came from Gen. Westmoreland when he took his inflexible conventional mind from previous wars to Vietnam2. In contrast, they even depicted Westmoreland’s successor, Gen. Creighton W. Abrams as one of a few commanders who really understood the war as he tried to wage a true counterinsurgency campaign based on securing and pacifying the population3. However, as the critics only examined Search and Destroy as an isolated tactic, they seemed to ignore its connection with the overall picture. When the first US combat troops arrived in South Vietnam in 1965, Westmoreland had to face not only the spread of Viet Cong insurgency but also the NVA main forces moving southward from Hanoi. Westmoreland obviously understood the importance of pacification as he informed his subordinates that the ultimate goal of the war is “to regain the loyalty and cooperation of the people”4. However, he did not ignore the more immediate problem of over 225,000 communist soldiers and guerrillas in South Vietnam either5. To deal with the combined threat, Westmoreland proposed a three-phase strategy in 1965. In phase one which was implemented throughout 1965, U.S forces at first halted the losing trend in South Vietnam. In phase two begun in mid-1966, US forces concentrated on search and destroy operations while South Vietnamese forces focused on pacification. In phase three, U.S. units would push the communist forces back across the borders of the country, destroy them or force them to disperse into small groups while continuing to strengthen South Vietnam government and military6. In that big picture, Search and Destroy did make sense. To prepare an area for pacification, it at first had to be provided permanent security by destroying or driving communist’s forces away. Therefore, Search and Destroy, as it was intended to be in the second phase, would provide a shield behind which South Vietnamese forces could concentrate on securing and pacifying operations7. The second purpose of Search and Destroy, as many commentators pointed out, was to kill a large number of communist troops8. However, the existence of this purpose did not mean Westmoreland neglected pacification. In fact, when the US commanders believed that they had reached the third phase of the strategy in late 1967, Westmoreland stressed the importance of pacification again by establishing the Civil Operations and Rural Development Support (CORDS), an organization which supported previous pacification efforts run by Saigon government. Why did Search & Destroy fail in Vietnam? Why were U.S. military tactics ineffective against guerilla tactics? 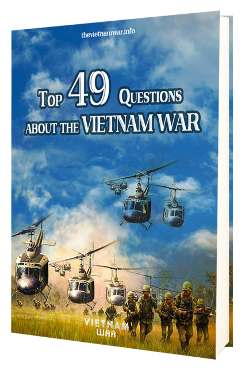 What was Australian Tactics in Vietnam war?